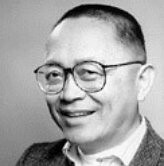 Ling-Chi Wang helped establish Asian American Studies and taught its first course in 1969. He is a founder of Chinese For Affirmative Action and the recipient of the Association for Asian American Studies Lifetime Achievement Award. Before his retirement in 2006, Professor Wang headed the program and the Ethnic Studies Department several times. He helped create the Ethnic Studies graduate program as well as the campus American Cultures requirement. Professor Wang co-founded the International Society for the Study of Chinese Overseas (ISSCO) in 1992, which has since been sponsoring conferences at sites around the world where Chinese diaspora communities are located. From the 1960s to the present, he led community struggles against Republic of China (Taiwan) control of Chinese American community politics. He has been at the forefront of language education rights advocacy for more than four decades, advocating for language immersion programs, inclusion of Asian languages by the Educational Testing Services and, most recently, the building of a San Francisco community college branch in San Francisco Chinatown, where Chinatown restaurant and garment workers might take ESL classes in and near the communities where they work and live. In 2011, Wang received the Lifetime Achievement Award by the Chinese-language Media Association, an organization of professionals on TV and radio, as well as in newspaper, magazine, and online publication. Wang was the first and only one to receive the award, which was presented at a the banquet for 300 at the Grand Ballroom of the Crowne Plaza Hotel in Foster City.